The mission of the Professional Bicycle Mechanics Association (PBMA) is to Promote, Develop and Advocate for the Professional Bicycle Mechanic. To promote the professional bicycle mechanic, PBMA takes steps to educate the public, the industry and the sport about the importance of a well-trained and experienced bicycle mechanic to facilitate the enjoyment, safety and profitability of the sport. To advocate on behalf of the professional bicycle mechanic, the PBMA educates consumers, manufacturers and teams about the value and need for a qualified bicycle mechanic, and we are working on a pathway to develop future bicycle mechanics. 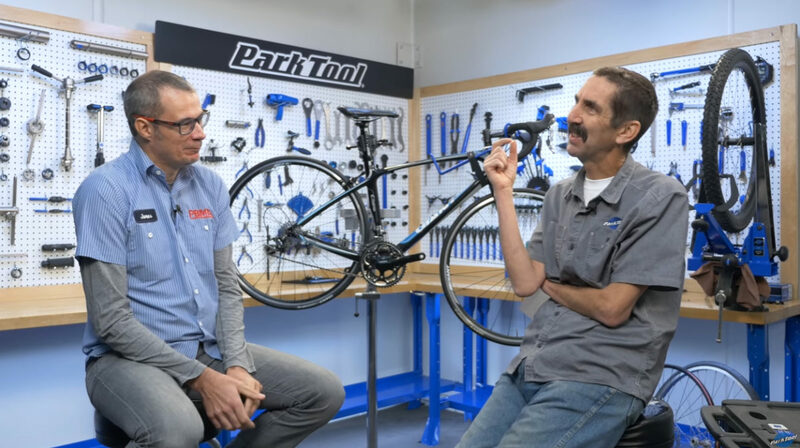 Moreover, the organization is working with the established cycling community to evolve the image of the bicycle mechanic into a professional expert. To develop the professional bicycle mechanic, the PBMA educates and builds upon the education of bicycle mechanics. Whether a mechanic’s trade application is race, shop or industry, PBMA aspires to keep their skills valuable and relevant. PBMA are currently working alongside the existing educational institutions to provide a codified system, by which mechanics can become Recognized Professionals. Why is an independent third-party certification important? Third-party certification is the only method of certification that is independently developed and verified thereby removing conflict of interest and providing significant meaning. Founding members joined the PBMA during the first year of membership with a generous pledge which included a lifetime membership. Founding members are visionary leaders in our field and believe in the core values of the PBMA – promote, advocate and develop professional bicycle mechanics. Founding members are invited to join leadership and directional discussions and may include past, current and future board members as well as industry advocates who believe in the possibilities of an amazing future. If you are interested in joining as a founding member please contact us by clicking here. The Professional Bicycle Mechanics Association would like to thank the following individuals for believing in us early on and strengthening our vision by becoming a founding member. Shaun Bergen – Two Wheel Theory Ltd. Individual Members receive full access to the PBMA Forum in addition to voting rights, discounts on training, and select exclusive Members-only offers. Shop Members are featured in and receive access to the PBMA’s official directory listing, in addition to receiving discounted Individual Membership rates for their employees. Corporate Members receive complete access to the results of PBMA Surveys, in addition to promotional opportunities including logo placement on select PBMA materials and communications. The Professional Bicycle Mechanics Association will continue its technical education conferences in the Fall of 2018 and continuing into the early part of 2019. The Technical Workshops were launched in late 2017. With a focus on hands-on technical training, Technical Workshops ensure that mechanics are up-to-date on the latest products. Returning to the Tech Workshops are SRAM, DT Swiss, SR Suntour, Campagnolo, Stanâ€™s No Tubes, Full Speed Ahead, Enduro Bearings and Magura. New to the program are Bosch, Rotor Bike Components and Maxxis. In addition to the manufacturer-direct technical sessions, the PBMA, alongside Winged Wheel, are developing new seminars with a focus on professional development aimed at bolstering the mechanic’s personal business development skills. Early sponsors for this next round of workshops include Park Tool, Kryptonite, Prestacycle, Efficient Velo Tools, Feedback Sports, Silca, Finish Line and United Bicycle Institute. In 2017 and 2018, the PBMA saw 255 mechanics participate in 3-day workshops in Denver, Portland, and Dulles. For 2018 and 2019 the PBMA is eyeing Phoenix, Atlanta, and Philadelphia, with dates and full details to be announced soon. PBMA Members save $100 on course registration, which includes a reception, lunches, and snacks. New this year will be a product showcase where presenters and sponsors can present their latest tech and products to those in attendance without a tech training session. Attendance will be limited to 96 participants per location with registration opening to members of the association exclusively for the first 30 days. Workshops will begin Monday evening and continue through Thursday afternoon in each location. For brands and manufacturers wishing to connect with mechanics at the PBMA Technical Workshops please contact PBMA President James Stanfill (President@ProBMA.org). There are a limited number of presentation and sponsorship spots still available. Members of the Professional Bicycle Mechanics Association can now register for its 2018 / 2019 PBMA Technical Workshops. The three-day workshops are planned for Philadelphia, Peachtree City, Georgia; and Phoenix. Workshops are $375 until October 16. A price increase of $25 is applied after that date. Workshops kick off Mondays with check-in and a product expo followed by catered reception and keynote speaker. For more information and registration visit: ProBMA.org/PBMA-Technical-Workshops. PBMA members may login to the site and navigate to “discounts” to access the discount code to save $125 on their registration fee. Brand participating in the tech sessions: Bosch • Campagnolo • DT Swiss • FSA • SRAM • Stan’s NoTubes • Pedros • Winged Wheel • SR Suntour • Enduro Bearings • Magura • Rotor Bike Components • Maxxis Tires • PBMA. The PBMA announced today that it has launched a Certified Shop program, based on its own Mechanics’ Certification and focusing on a shop’s service credentials. A PBMA Certified Shop is a shop employing Certified Professional Bicycle Mechanics and is a genuine resource within its community. Certified Shops will gain insurance discounts, streamlined distributor access, and two mechanic memberships per location. “The idea of the program is to highlight shops that are focused on service and provide qualified service to consumers. By certifying their mechanical staff and recognizing the shop as a leader in service, we can highlight the businesses as well as the technicians in our Directory,” said PBMA President James Stanfill. The PBMA Certified Shop program is not exclusive to traditional bicycle shops; the program recognizes all legitimate bicycle businesses, including mobile, service-only, and brick-and-mortar shops. In discussion with owners of traditional shops, mobile shops, and service-only enterprises, we thought the best way forward in our changing industry would be to continue to look specifically at service and what service can provide for the shop and the community,” Stanfill said. The application process gathers data to verify that the shop is operating legally per their local laws and in a professional manner. 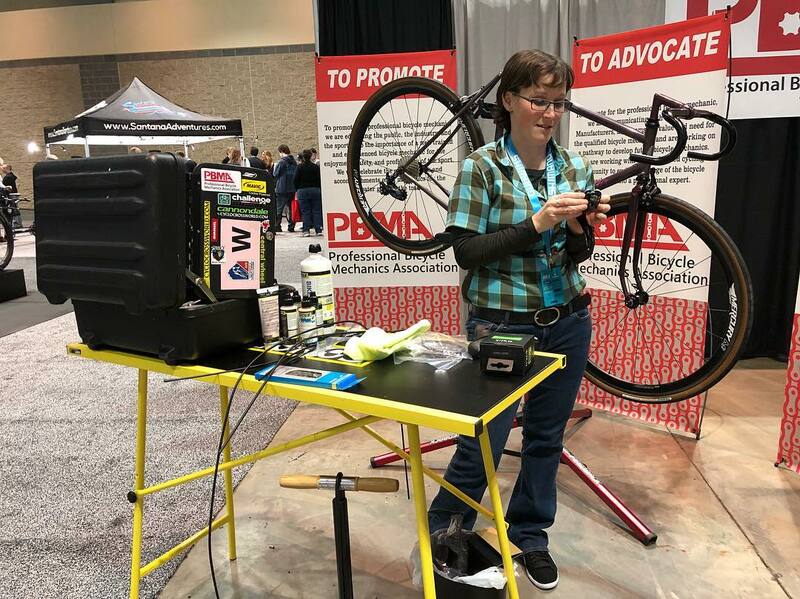 PBMA Mechanics’ Certification is presently open and free for members of the Association, with additional in-person certification set to launch at Interbike Marketweek later this year. Existing PBMA Shop Members, CABDA Dealer Members, and mobile repair options Velofix and Beeline Bikes, already corporate supporters of the PBMA, will have their locations fast-tracked into the PBMA Certified Shop program.